Weather Getting Cold? No Problem! It’s a common problem every year. You’re ready to take your little one out for a round of trick or treating or maybe you’re taking them to a costume party. Unfortunately, the weather is just refusing to cooperate. It’s about 10 degrees too cold to head out without something to keep your child’s ears warm, but that means breaking the illusion of their costume! Well, what if there was an extra warm hat that just so happened to be a costume in and of itself? Say hello to this Winnie the Pooh kids winter hat! 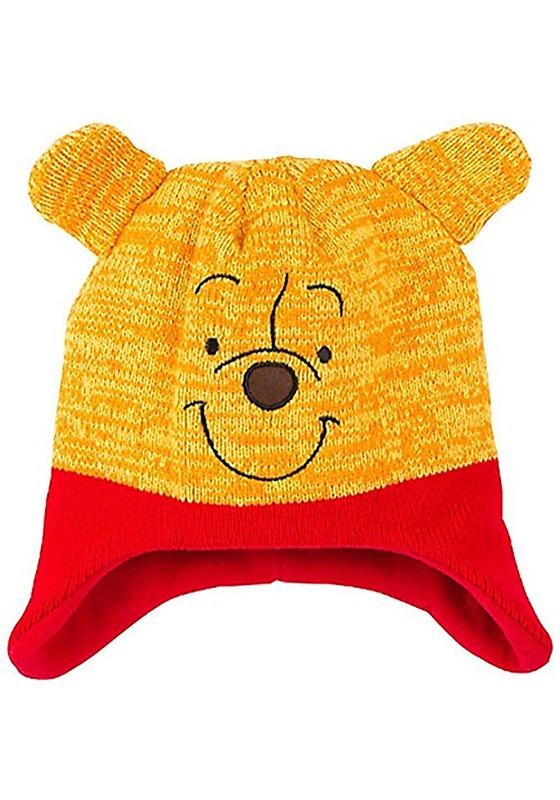 Yes, if your child is a fan of Winnie the Pooh, then this adorable hat could be the answer that you’ve been seeking! The hat is made of acrylic and has a fleece lining, making it a great choice to wear on those chilly days. Of course, Pooh Bear’s face is embroidered into the front and a pair of cute little ears are poking out on each side, so your child will still look like the iconic Disney character. Just add your child’s favorite jacket and they’ll be warm and completely in costume for a night of fun… no matter what kind of weather is happening outside! The best part about this Winnie the Pooh Peruvian hat is that it can be used well after Halloween! It’s soft and warm design make it a practical, and unbearable cute, hat to wear during the whole winter season!